Lincoln Memorial Park owner Jessica Williams. 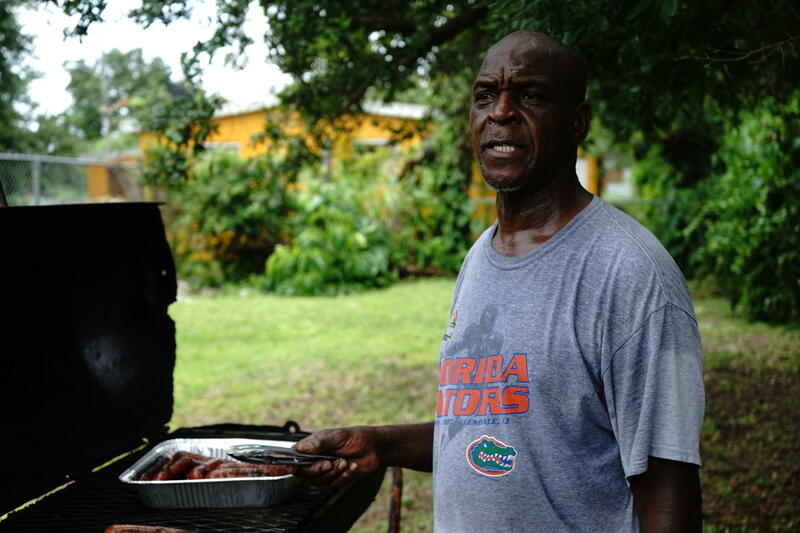 Rodney Jackson, a lifelong Brownsville resident, grills hot dogs to feed to volunteers. 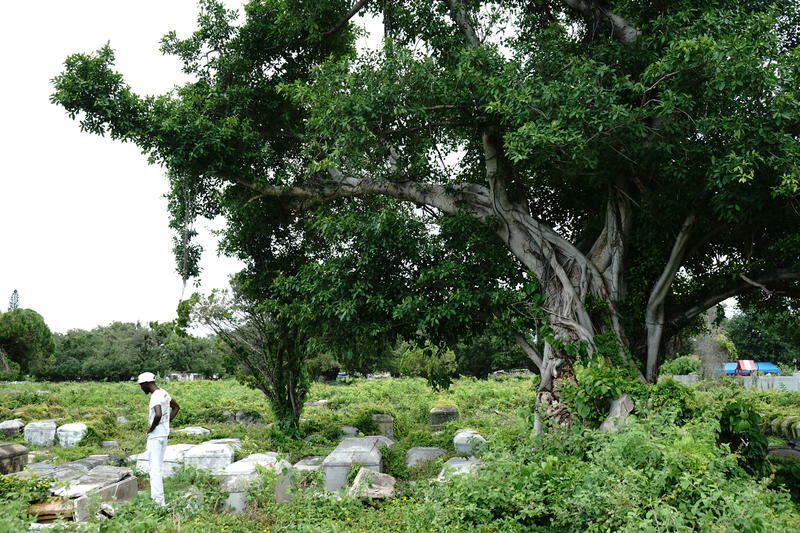 Lincoln Memorial Park Cemetery in Miami's Brownsville neighborhood is so old that the cultural practices of the people buried here were different than what we know today. Unlike almost all the final places of rest in South Florida, the graves were built above ground; the Everglades hadn’t been drained yet and the water table was too high for burials. Here lies a people who have been here a long time. As you walk up the pathway to the main gate of the cemetery, you pass clue after clue that this is the case. D.A. Dorsey, the city's first black millionaire, is on the right-hand side. Behind him lies E.S. Reeves, the Bahamian-born founder of the Miami Times, the city’s oldest black newspaper. To the left sits Kelsey Pharr, the former owner of the graveyard and the city’s first black mortician. And if you keep walking you hit a home, smack in the middle of the dense 20-acre lot. Inside lives Jessica Williams, the owner. Until a few months ago, all you could see here was acre after acre of weeds. Some areas are still like that. 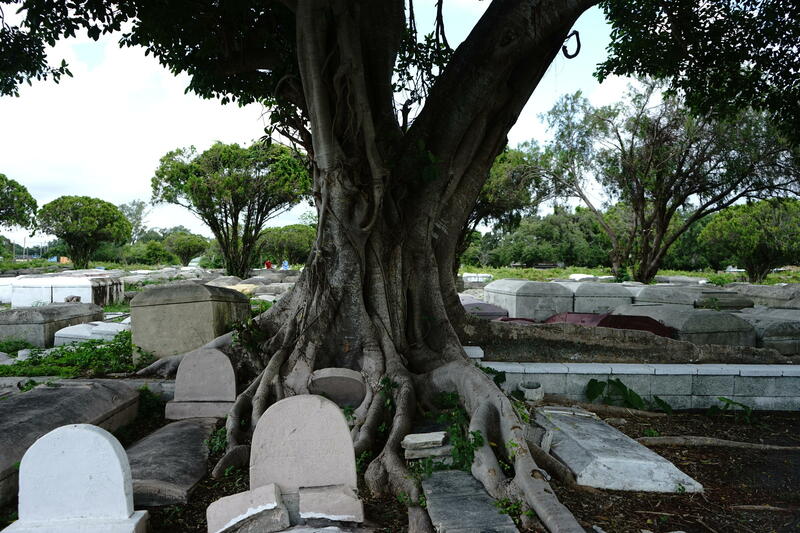 Hurricane Irma toppled overgrown trees, busting open gravestones. Some graves have been broken into and and vandalized. But that story is slowly starting to change. As part of a new exhibit at the Coral Gables Museum, entitled 'Sacred Ground: The Rise, Fall and Revival of Lincoln memorial Park Cemetery," the last six months have seen swarms of volunteers flocking to the park to pull weeds, hack machetes and sweat bullets. It’s part of an effort to restore the too-often forgotten black history and to rekindle a historic relationship between impoverished Brownsville and wealthy Coral Gables. Looking out the front window of her home, Williams can see a vision of those idyllic times in areas that have already been cut back by the volunteers, like a scruffy man who just shaved his beard. Out the back is another scene entirely: the areas that haven’t been reached yet by volunteers, an overgrown thicket that bears signs of neglect. Williams inherited the cemetery from her aunt Elyn Johnson, who inherited it from her godfather Kelsey Pharr, the mortician. Her aunt let the place fall into disrepair after she started suffering from dementia. And with no money for upkeep, Williams has been able to do little more to help. “I want this place to be beautiful again, like it used to be,” she said. 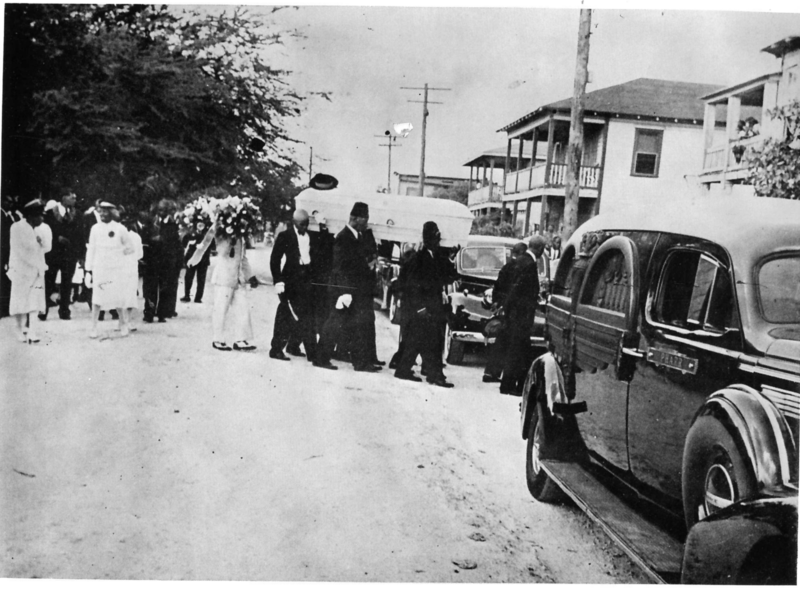 Segregation laws prevented black people from living in Coral Gables, although the American and Bahamian-born black population did much of the work of building the city. After work every day, many of them would have to trek the five miles north to Brownsville. In death, they were also segregated against. Even today, the surrounding neighborhood is filled with descendants of those black pioneers. Across the street from the cemetery sits Graveyard Inn, a shoebox of a sports bar, owned by local Gregg Fisher. He and his friend Rodney Jackson grilled hot dogs to feed to volunteers who came out to help with the restoration. On one side of the cemetery lies his father’s side, the Fishers. And on the other side, close to Dorsey’s mausoleum, lies his mother’s side, the Harrisons. One of Fisher’s sons was buried in the Harrison family’s plot in May, one of the rare services that still take place in the packed lot. “We’ve been going ever since then,” said Gaynella Harrison, Fisher’s mother. She takes pride in maintaining her family plot, which is found close to the main pathway, even as other parts of the graveyard were reclaimed by nature. Undated image taken during better days at Lincoln Memorial Park. In a row lining the back fencing of the property lie hundreds of headstones that were never placed on their owners’ graves. Many of the gravestones belong to veterans of nearly every war the United States has fought. The row was discovered once Arthur Kennedy, a volunteer groundskeeper, started cutting back the brush. 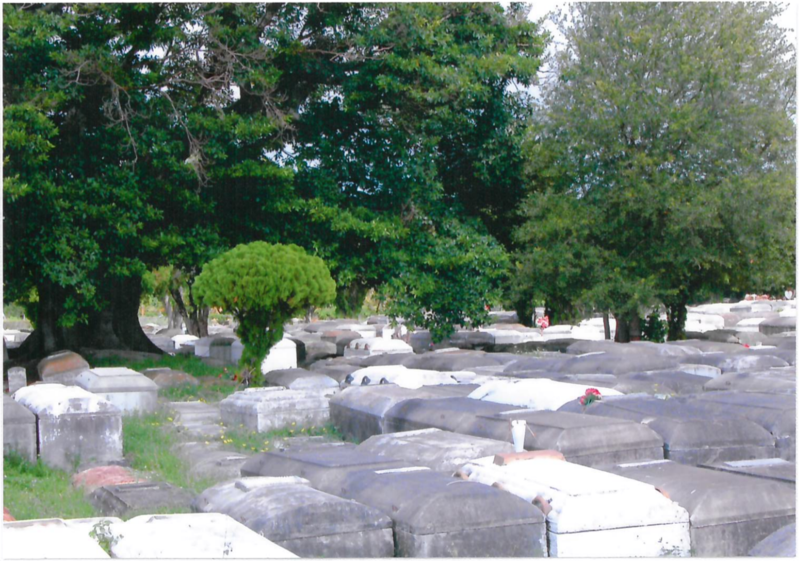 “Those headstones are just there for kind of warehousing. No one is buried there. Those are going to be placed on bodies that are buried inside,” said Kennedy. 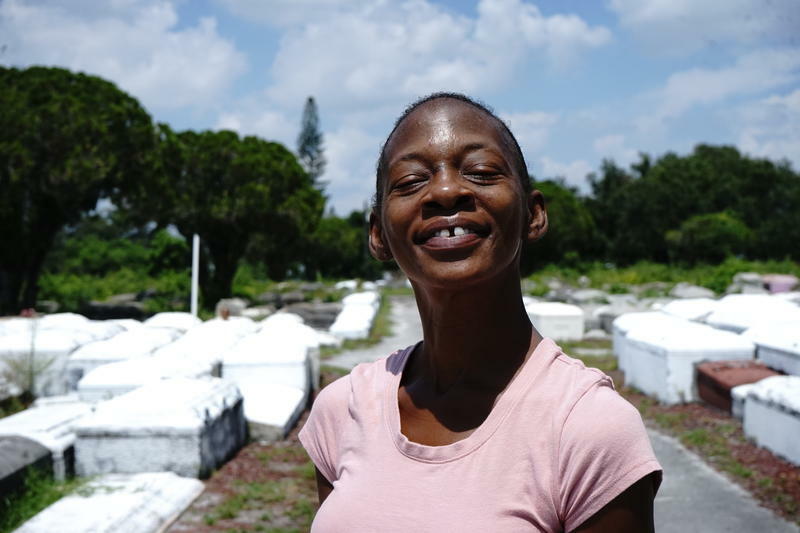 One of the goals of the exhibit at Coral Gables Museum is to work with the Brownsville community to figure out who is buried where, and to match these headstones with their intended owners. Several of them are now part of the exhibit. “A lot of the headstones [currently on the graves] over the years have become unreadable, they’ve become smashed and they’ve become vandalized. And you have families coming out here and they’re not able to find their loved ones or ancestors,” said Malcolm Lauredo, the museum’s historian. The Coral Gables Museum exhibit opens to the public on Aug. 3. It has photographs, funeral home documents and instruments, 100 year-old telegrams between families that buried loved ones there, gravestones, and maps. “What we’re trying to do with these books we have that Arthur and Jessica have entrusted to us is really find where a lot of these people have been buried so that people know where to go,” said Lauredo. Recovering from a natural catastrophe, say like Hurricane Andrew, can sometimes be a long process. Take a look at Homestead. In 1992, Andrew devastated the south Florida city, destroying the air force base, more than a thousand mobile homes, and one of the city's historic sites. Roughly a third of the population of 30,000 left shortly after the storm. It didn't take long for housing and people to come back. But, the downtown area along Krome Avenue took a little longer, even though it had been historically the heart of the town. Thirty-five years ago, Miami's Liberty City was smoldering -- flames leapt from the shells of cars while people looted businesses. Eighteen people died, and more than $100 million worth of property was destroyed. 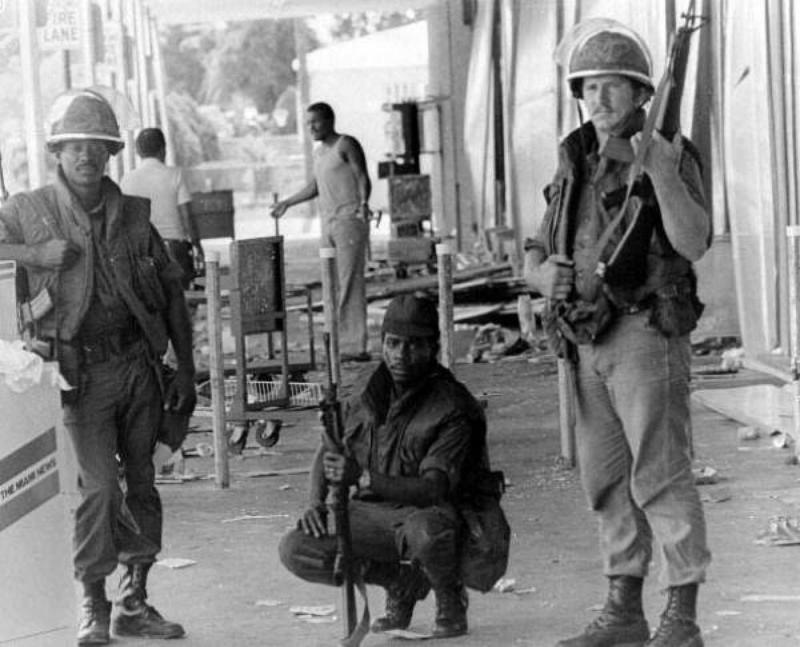 The McDuffie Riots were more violent than what happened in Baltimore and Ferguson, but there are lots of similarities. The law studies class in Brownsville Middle School just got a lot more engaging: students are getting a law academy lab, complete with jury rooms and witness stands. 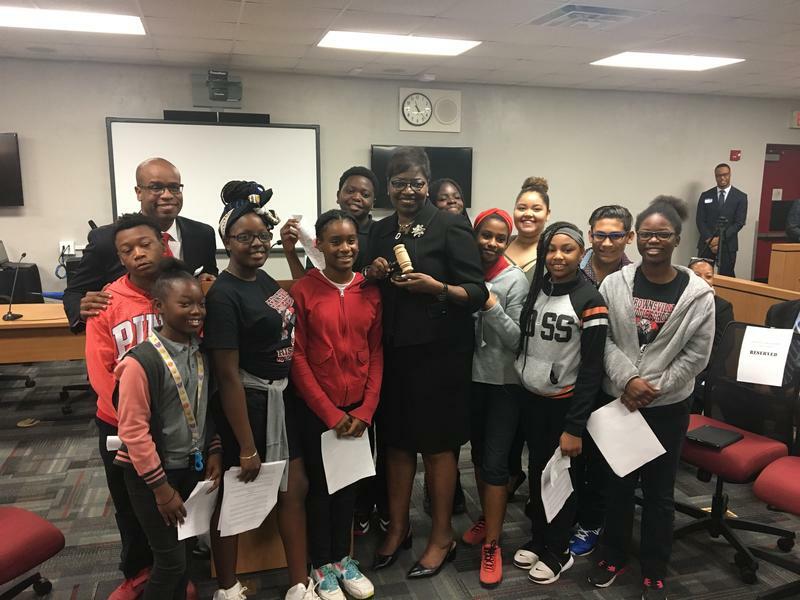 For the past 3 years, law studies class at Brownsville middle school involved mock trials and field trips to local courtrooms, in an effort to bring students into closer contact with the workings of law.